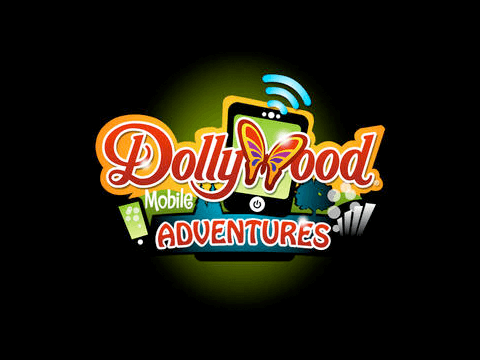 Introducing Dollywood’s Mobile Adventures, an interactive hub designed for you to explore the authentic, wholesome fun of the Dollywood experience! 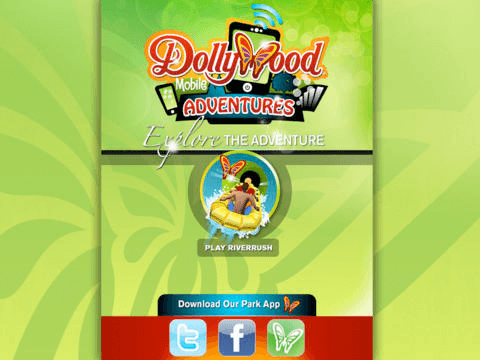 To celebrate Tennessee’s first and only water coaster, RiverRush, at Dollywood’s Splash Country, we invite you to Crush the Rush and take a maiden voyage on our first Mobile Adventure, RiverRush—The Game. 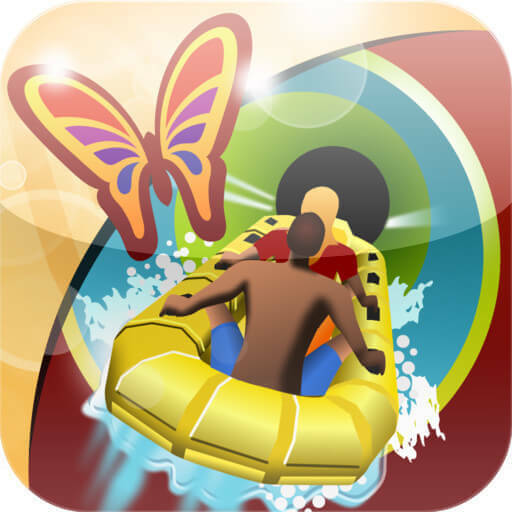 This thrilling 3-D journey features the twists, tunnels and hair-raising turns of RiverRush in the palms of your hands. 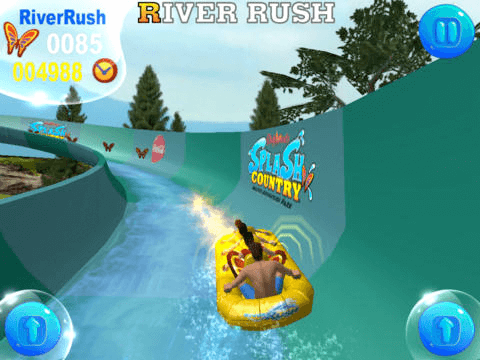 You’ll race through the course collecting coins to upgrade your boat with special accessories. Once you’ve tricked it out, compete against your friends on Facebook for the high score! 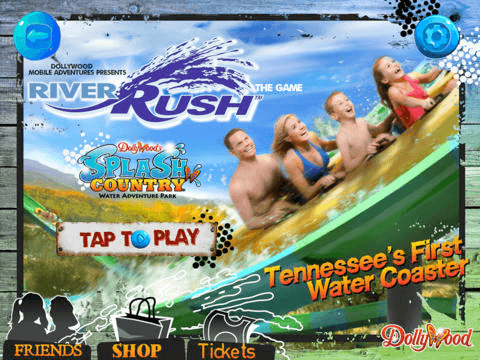 After you’ve mastered RiverRush—The Game, experience the real thing at Dollywood’s Splash Country. Riders face an initial 25-foot, 45-degree drop before swift rushing water propels them up hills, through rapids and plunges them into three more scream-inducing drops. 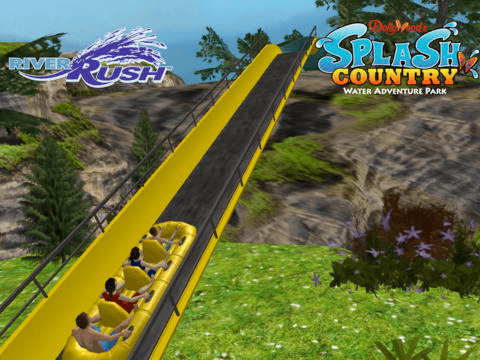 It’s all the fun of a roller coaster…in a blast of rushing water!